Military working dogs (MWD) will finally find a home with their former handlers upon returning from war or completion of their service in the American Military. 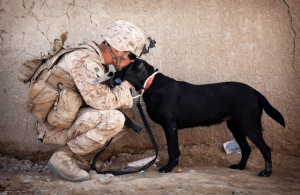 The passing of the 2016 National Defense Authorization Act has changed the rules associated with retiring dogs on foreign soil, making it easier to bring them back home and putting them up for adoption. Previously, these dogs did not enjoy this liberty, and the adoption process was difficult as well. 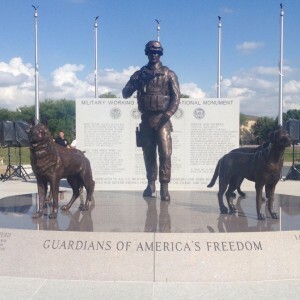 How Is Adopting Military Working Dogs Different? Military working dogs are fiercely trained as they are sent off to war to fight alongside human soldiers. These dogs are very different from their untrained friend or those dogs commonly found in shelters. They may not even be suitable for adoption for every family since they have different triggers and trained responses. Military working dogs can however make for good guard dogs due to their independent mindedness and aggressive nature. Such dogs are not meant for families with smaller children but former handlers and war veterans may love to be re-united with their war friend. For all that these dogs do for American soldiers, including each dog saving 150-200 servicemen in their career, they were, until recently, left behind on foreign soil. Those dogs that became too old or sick to serve any longer were euthanized. However, with the passing of the bill, all dogs being retired on foreign soil will be brought back. Priority will be given to their former handlers in adoption or in case if the handler is deceased or severely injured, to their family, if they wish to adopt. This makes it easier for these national heroes to find a caring home for themselves, even serving as protection dogs. The process of adopting a military working dog includes a 2-page application and a follow up interview. This process is meant to establish whether the family and the home environment are fit for a military dog and aligning the expectations of the family. There is a high demand for adopting military dogs so much so that qualified applicants are put on a waiting list. After all, these dogs are specialized and have strong senses. They are well trained to cope with danger and can provide a family the protection it needs. The expected waiting time to acquire these dogs is between 2 months and a year. In some cases, it may take longer than that. Through the passing of this act, it becomes easier for former handlers to adopt their four-legged friend who they may have trained. Among other things, it also improves the retirement benefits for service members upon leaving the military. Where the current system favors only one in five military retirees, with the new rules, at least 4 in 5 service members will benefit upon retirement.